If you’re going to university in Wales then please become a College Ambassador. 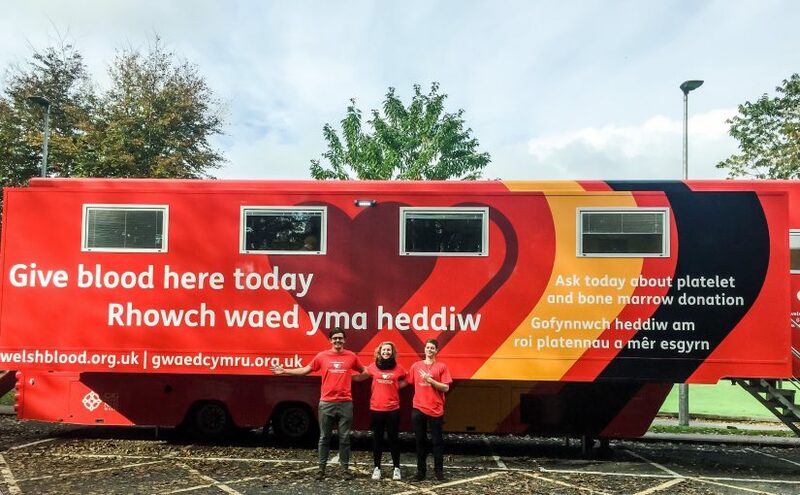 We’ll see you at one of our blood donation sessions that we hold in Welsh universities specifically for students. We visit most university fresher’s fairs at the beginning of term and look forward to meeting you there. If you’d like us to come and give a talk at your university then please get in touch. Why not encourage a friend to come along to a donation clinic with you and donate with a mate? We’d love to see you.